Dementia Clocks? Real Clocks Or Part Of Dementia Test? If you, or someone in your close circles, ended up being diagnosed with Alzheimer’s disease or dementia it is very likely that you’ve already heard of dementia clocks. However, a lot of people are quite confused with the term dementia clock or dementia clocks, because sometimes they are used to refer to the type of test that is often administered to dementia patients and sometimes to describe the actual clocks for dementia patients. In this article, I’ll try to look at both of these terms in more detail, because they are very important in the lives of Alzheimer’s or dementia patients. What Are Dementia Clocks? Real Clocks Or Dementia Test? If you, or someone in your close circles, ended up being diagnosed with Alzheimer's Disease or dementia it is very likely that you've already heard of dementia clocks. 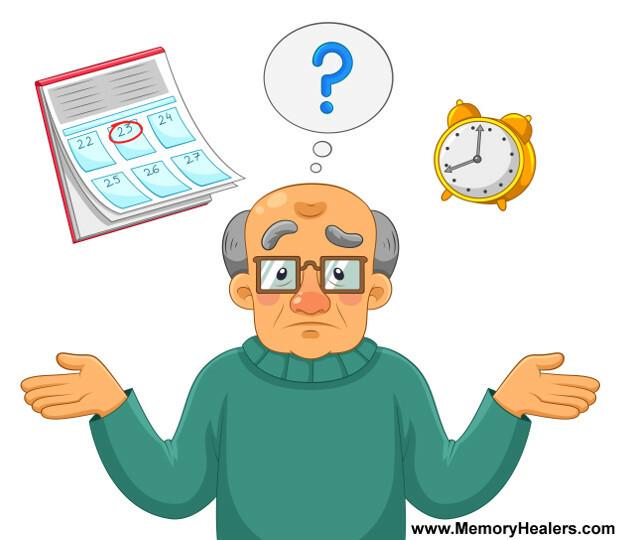 However, a lot of people are quite confused with the term dementia clock or dementia clocks, because sometimes they are used to refer to the types of tests that are often administered to dementia patients and sometimes to describe actual physical clocks for dementia patients. In this article, I'll try to look at both of these terms in more detail, because they are very important in the lives of Alzheimer's or dementia patients. These dementia clock tests are basically designed to screen individuals for neurological issues related to mainly Alzheimer's and dementia. This effective tool is widely used by medical practitioners alongside other thorough screening tests to reveal one's cognitive abilities. This in turn helps to either rule out or confirm other findings based on the already established assessment scales in dementia. Those aware of the practice can administer the tests on their own but if the results are doubtful, then it is highly advisable to visit your medical professional and do the procedure there. So, just how is this type of examination administered? How to Administer a Clock Test for Dementia? If you decide to have your exam taken in a hospital or clinic, the doctor will begin by giving you a piece of paper with a drawn circle on it and then ask you to draw the numbers on the clock. Once this is done, the medical practitioner will then ask you to draw the hands indicating a specific time. It is paramount to note that there are a number of different times usually asked by those administering the tests, but more often than not, ten minutes after eleven, is usually the most preferred. In some cases, the medical practitioner may simply choose leave you with a completely blank piece of paper and then ask you to first draw a clock and then add the hands indicating a time of ten minutes past eleven. How Is A Test For Dementia Scored? In essence, the clock test for dementia can be scored in as many as fifteen distinct ways. Straightforward scores may involve awarding of points for all properly ordered numbers, the correct time, the two hands and points for each correctly placed number in each of the four quadrants. Basically there is a plethora of ways to score and evaluate the results as mentioned above but simplistic scoring methods can be used for better evaluation purposes. The most basic involves issuing a point for every complete task and zero points for every abnormally drawn picture. In short, if the task was completed as instructed, then that is a total score of one and zero to anything less than that. Those that have a score of one have nothing to worry about while a score of zero will more often than not warrant further and usually more detailed evaluation. Why Is This Examination Effective In Discovering Dementia? According to the latest research, tests using dementia clocks are quite accurate at identifying trouble with cognitive issues in individuals. Patients with dementia will likely make common errors during the examination such as missing hands, drawing the wrong time, repeat certain numbers, miss numbers and mix the number order. Note that simply refusing to comply or complete the test may be indicative of a cognitive problem as well (e.g. constructional apraxia). Is There A Real Benefit In Doing The Clock Drawing Test? The clock test for dementia is indeed very beneficial in a number of ways. For starters, it is a very quick and effective way of pinpointing a possible cognitive problem. It will often take only a minute or so to complete and very quickly, you will have a general idea about the patient's situation. Besides this, it requires no training at all to administer, which makes it perfect as a “do-it-yourself” way to see if there is any reason for concern, and also ideal for home use. Several scientific studies have looked at this type of examination as one of the cognitive screening tests and confirmed its validity. Now that we know what the dementia clock test is all about, let's look into the world of physical clocks that you can get and that are proven to help a lot in the case of a patient with already diagnosed Alzheimer's disease or pretty much any level of dementia. Dementia or Alzheimer's disease can be filled with agitation and disorientation. If your loved one is experiencing even a small degree of frustration due to memory loss, you can assist him or her feel more at ease with a dementia clock. Choose to research and find dementia clocks online for the best selection and greatest ease seeing the features that will help the patients cope better. If you are wondering what dementia clocks are, think of them as more than just regular clocks we are so used to. Think of these clocks as devices that assist an individual distinguish whether it is morning or night. This is a huge improvement for people who get confused after napping and wake under the presumption that a new day has begun, when it really is late afternoon. Dementia clocks clearly display, in large, bold letters and numbers, the day of the week and indicate if it is morning or evening. The words are spelled out on the display instead of using “am” or “pm” which often adds to confusion. For example, when patients get up from a nap in the afternoon and look at the clock. Patients can then easily read that it is “Thursday Afternoon” instead of seeing a display that reads “4:01 pm”. 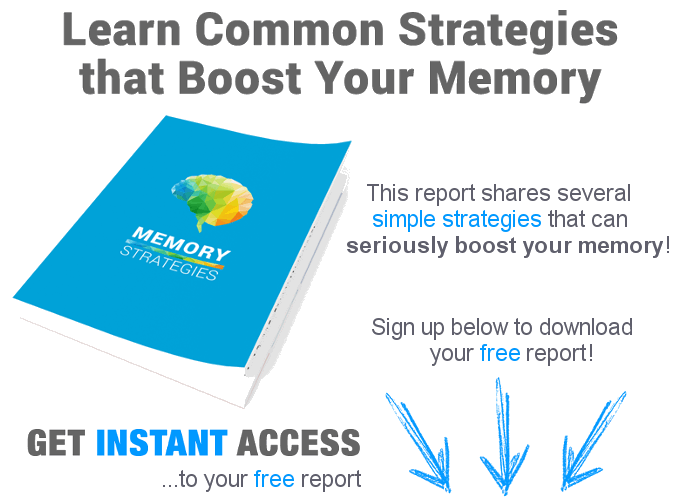 This can be an empowering tool for anyone with mild or moderate dementia. Instead of feeling disoriented or even embarrassed when visitors or caretakers arrive, the individual can feel more in control of his or her behavior. Instead of eating breakfast in the example above, the dementia clock user would know it is better to wait for dinnertime to eat. Numbers are typically not displayed on clocks like these, because “am” and “pm” indicators can be more confusing for dementia sufferers than anything else. Your loved one can simply rely on reading a display that tells them whether it is morning, afternoon, evening or night time. Just having this easy-to-read information can make a difference in how they eat, how much sleep they get and how they perform throughout the day. Usually patients feel more in control of their actions, and have more confidence than they otherwise would when misreading or misunderstanding traditional style clocks. There are many types of listings for finding good quality dementia clocks online. Think about your loved one and his or her needs before looking over any listings. Some clocks can even be wall mounted and some can be placed on a desktop or nightstand. Be sure to read online reviews about these clocks to narrow down the ones that seem most fitting for your immediate needs. Almost all of these dementia clocks are available with AC adapters and battery back-up features to retain settings in the event of a loss of electrical power. Help the Alzheimer's or dementia patients in your life cope better when they have their moments or times when they have to stay alone. 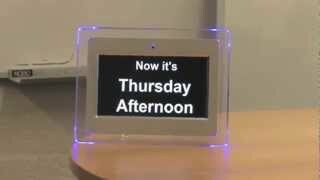 Find them a dementia clock and help to restore their confidence and keep the peace of mind all day long.